VOOPOO NEW TOO Kit, different from the old version VOOPOO TOO Kit, it features a 8ml/1.8ml UFORCE T1 tank with innovative meshed coil made of new material, which make this kit powerful. The tank can be compatible with all of the UFORCE coils and glass tubes, including 3.5ml, 5ml,5.5ml and 8ml. 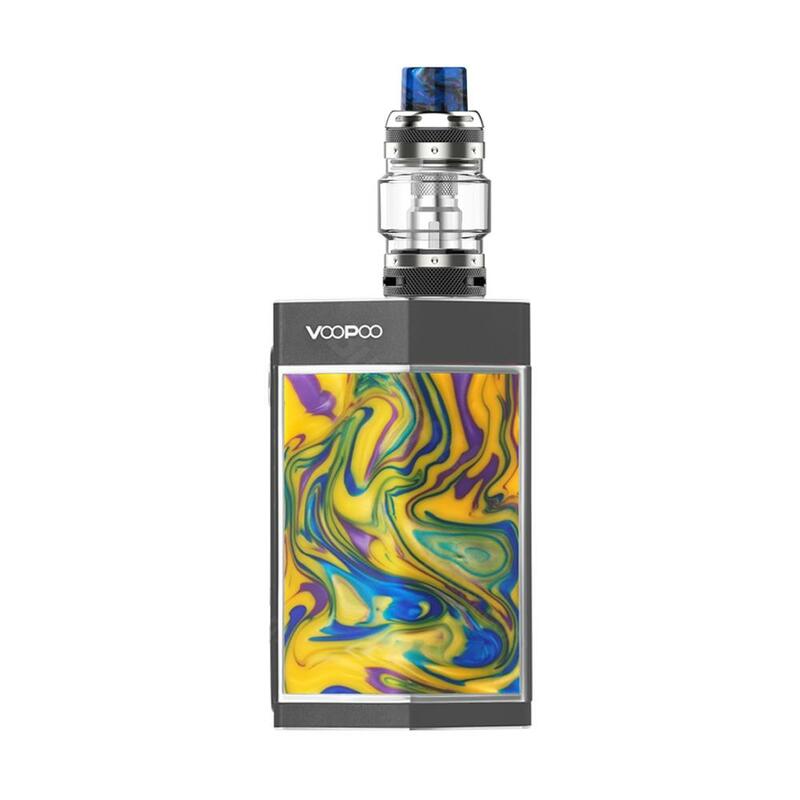 VOOPOO NEW TOO Kit, different from the old version VOOPOO TOO Kit, it features a 8ml/1.8ml UFORCE T1 tank with innovative meshed coil made of new material, which make this kit powerful. The tank can be compatible with all of the UFORCE coils and glass tubes, including 3.5ml, 5ml,5.5ml and 8ml, so you can use different kinds of replacement spare part to enjoy different vaping experience. Together with UFORCE T1 tank is VOOTOO MOD, you can select sing or dual batteries depend on your own need. It can fire up to 180w max power when you use dual Batteries and 80W max wattage when switch to single battery. And what is more remarkable is push-pull design for the double sideslip covers, you can vape with more fun. Get this revolutionary kit to enjoy batter vaping! • Quick links: TOO Mod; UFORCE T1 tank; Glass tube; Replacement coil. Finalmente tuve que cambiar el mod ya que no había stock transcurrido el primer mes. Lo cambié por el mismo claromizador (UFORCE T1), al que ya le tenía ganas, y el mod lo modifiqué por un eleaf iStick pico 21700, ya que tenía un claro de esa marca y así los podía tener en plan kit. Por el momento, las pocas pruebas que les he hecho, tanto al mod como al claro, indican que no me he equivocado mucho, bastante contento. No es 5 estrellas por haber tenido que modificar el pedido. VOOPOO NEW TOO Kit, perfect kit, your pre-order items suit me very well!